Discover the less-trodden Alaska with on one of Alaska Adventure Unlimited’s off-the-beaten-path Alaskan wilderness tours! We’ll take you where the others don’t! There is a lot to see and do in Alaska and plenty of companies offering to get you out into the great Alaskan wilderness. 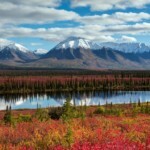 Few, however, go much beyond the more typical Alaskan attractions. Alaska Adventure Unlimited will take you to these, too but with less common destinations included as part of your itinerary. Make the most of your Alaska vacation by including a flightseeing tour of Mt. Denali with the further thrill of landing on the Sheldon Amphitheatre glacier! Mt. Denali (previously known as Mt. 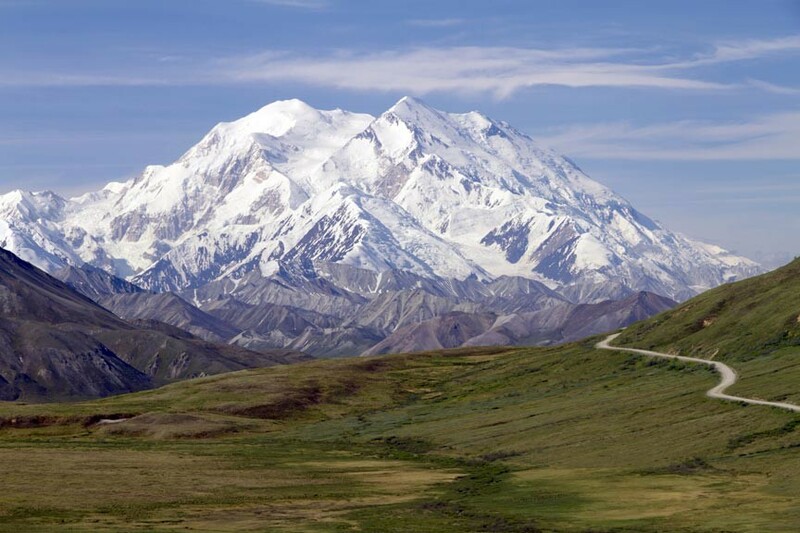 McKinley from 1917 to 2015) is the highest mountain peak in North America. There are few easy ways to get close to this iconic peak but one of the quickest and most breathtaking ways is on a flightseeing tour! Kenai Fjords National Park contains some of the most incredible and impenetrable wilderness in Alaska. It’s a glacial wonderland of stunning scenery, abundant wildlife, and expansive alpine and tidewater glaciers. 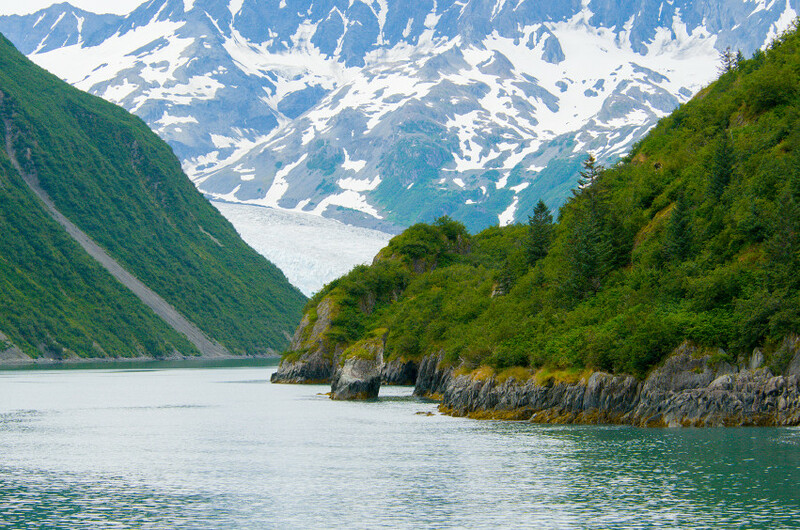 Established as a national monument in 1978 and a National Park in 1980, Kenai Fjords National Park spans over 1,000 square miles of awe-inspiring Alaskan wilderness, below Seward on the Kenai Peninsula. Humpback whales, porpoises, sea otters, black bear, moose, gray wolf, puffins, eagles, and much, much more call the waters, glaciers, mountain peaks, rainforest, and meadows of Kenai Fjords National Park home. Humans, too, have called the area home for time out of mind and historical and archeological remains are also protected by the national park designation. 60 percent of the park is covered in snow and ice, with the vast, 936-square-mile Harding Icefield at its edge. From this massive ice field come tidewater glaciers which, in turn, carve out fjords and launch into the waiting sea as icebergs the size of small houses. One cannot overstate the majestic beauty of Kenai Fjords National Park, whether you’re taking its panorama in from afar, or are close enough to the blue ice of Exit Glacier to hear it crackle. 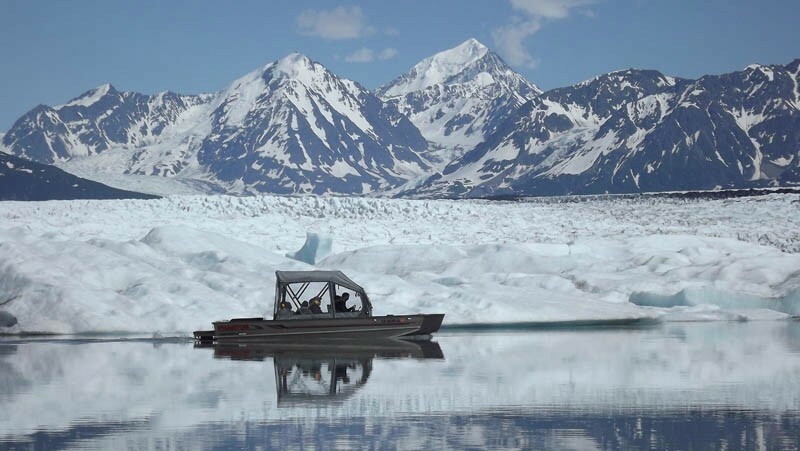 A Kenai Fjords Glacier Cruise is a wonderful way to attain a close-up glacier experience and see an incredible abundance of wildlife – on water, land, or in the air. More than 80 different species of birds live in Kenai Fjords National Park! As you cruise along the rugged coastline with its emerging rain-forests, calving glaciers, and diverse wildlife, you’ll rest in complete comfort from behind the large picture windows and viewing decks of the tour vessel. Listen to expert narration by the experienced crew, pointing out details you might otherwise miss and revealing interesting facts that will astound, amuse, and fascinate. Alaska Adventure Unlimited is proud to offer a number of different tours that include a visit to Kenai Fjords National Park: 7-Day Pride of Alaska, 7-Day Denali Fall Colors, 8-Day Best of Alaska, 10-Day Grand Discovery Alaska, and 10-Day Vision of Alaska all include the opportunity to discover one of Alaska’s most gorgeous gems: Kenai Fjords National Park. to witness this exciting occurrence on one of AAU’s Alaska Glacier Tours! Glaciers come in a variety of shapes, forms, and locations – it’s just one of many facts that make Alaska glacier tours so popular! If you’ve a fascination for seeing or visiting glaciers, indulging in an AAU Alaska land tour will satisfy that interest, big time. 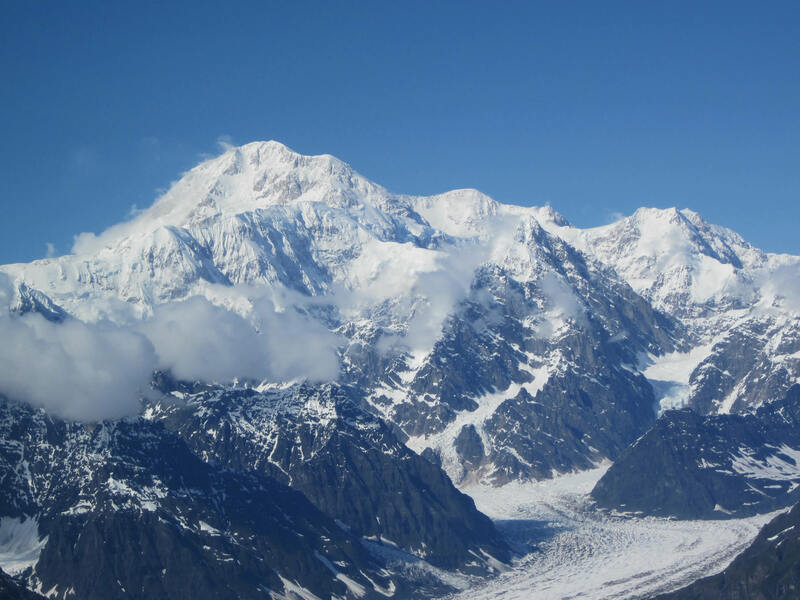 Alaska has an estimated 100,000-plus glaciers – and they’re not all alike. There are alpine glaciers, tidewater glaciers, piedmont glaciers, hanging glaciers, rock glaciers, icefields, ice caps, glaciers that are retreating, and some that surge. There are glaciers at the water’s edge and glaciers stranded high and alone, in remote, alpine valleys. Alaska Adventure Unlimited prides itself in providing access or views to a wide variety of these icons of the north with our Alaska glacier tours. 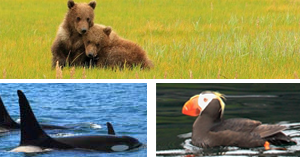 Here’s a short list of some of the types you can book an Alaska land tour with us to see! There are lots of different services out there offering to help you get the most when you tour Alaska but there’s only one Alaska Adventure Unlimited. 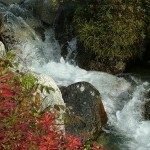 Take advantage of the best Alaska land tours available … the AAU Advantage! What is the AAU Advantage? 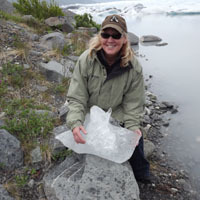 Alaska Adventure Unlimited is able to provide you with the best ways to tour Alaska due to a number of simple, yet important factors: our local guides, the uncommonly small and flexible size of our Alaska tour groups, our high-end activities and off-the-beaten-path destinations, and more. 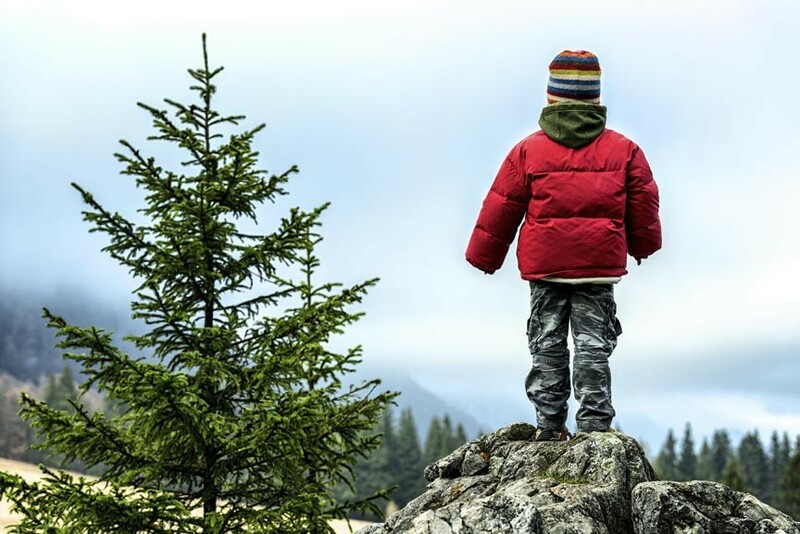 Alaska Adventure Unlimited is proud to offer kid-friendly Alaska tours, multi-day trips designed to keep all members of the family happy and entertained as you discover the great Alaskan frontier together! Taking the entire family on a personalized Alaska adventure is a great idea but can be a tough decision. Will there be enough for the kids to do and enjoy during the vacation … or will their boredom make it impossible for anyone to have a good time? With Alaska Adventure Unlimited, that’s not something you have to worry about! We don’t treat kids like extra baggage. 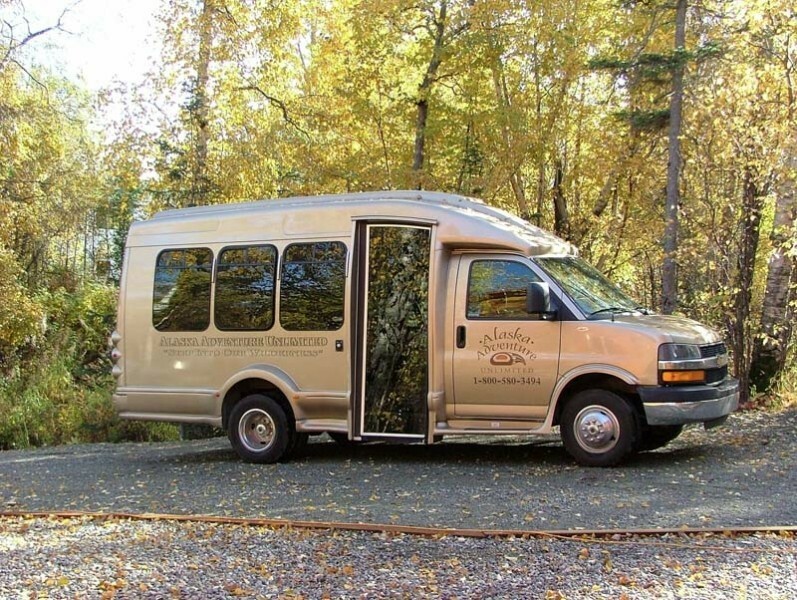 Our family tours cater to children and parents alike, making us the number one provider of kid-friendly Alaska tours! It’s one for your bucket list: come have the adventure of a lifetime and view wild, coastal brown bears up close and in the wild on one of our two Ursus Bear Habitat Encounter Alaska Day Trips! 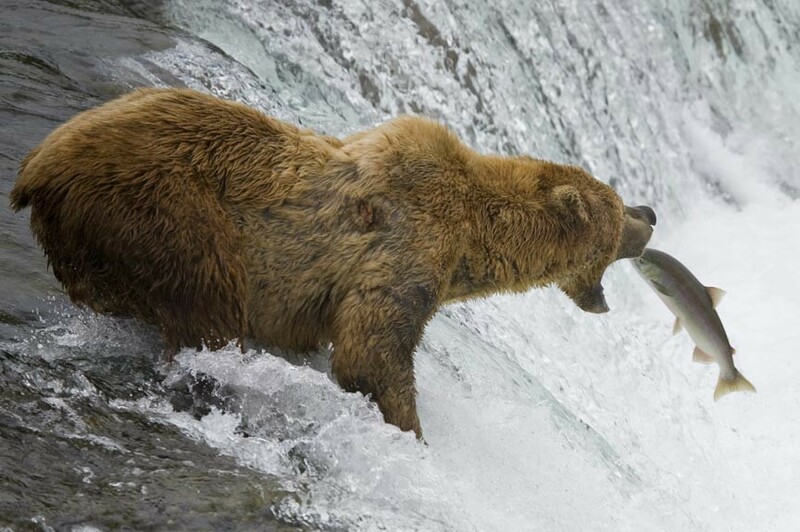 Alaska Adventure Unlimited offers a number of fantastic multi-day trips – which include gold panning, dog-sledding, jetboat tours, tram tours, plane tours – but our Ursus Bear Habitat Encounter has to be one of the most amazing and popular. I can tell you why with just two words: wild bears. 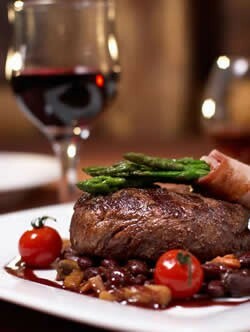 Check your itinerary for included meals. Deluxe Tours: Includes high-end activites like flightseeing & First Class Domed Rail! Quality Tours: Perfect for moderate budgets, while still including most activities! Early Bookings benefit by lowered deposits! 25% Due at Time of Booking. 2014 The “Raves” are in! Did you have a great time on your 2014 Alaska adventure? Fantastic trip! It wouldn’t have been so without you folks at AAU. We feel so fortunate that we have been able to visit your majestic state. We will have memories for a lifetime, we thank you for that. Your fine expertise to work out each and every detail from morning to night, made it a perfect trip. We saw and did things that not many that visit Alaska are able to do. And we were one of the lucky 10% seeing ALL of Mt. Denali!!! You can be certain that I have been talking about our trip and your company to everyone. Truly the best of the best. I have had a couple of folks say that they are looking into to a trip for the coming year. I talked them right out of a cruise with 3000 of their closest friends. Traveling in a small group with the 4 other couples, was WONDERFUL. What nice and fun folks. Loved them all! So our hats are off to you all for making this Pennsylvania couple absolutely amazed with a trip of a lifetime. We celebrated our 47th wedding anniversary in a wonderland. AAU made it all possible. It is a different world. If we were younger, we would have stayed forever. We travelled with a great group of people and the accommodations were the best. Our driver loved Alaska and it showed. Thank you. The only animal we didn’t see was a wolf, but we have them in Wyoming. 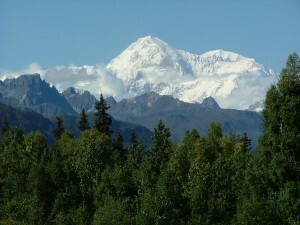 We got a lot of great pictures of Mt McKinley. I’ve read all the handouts, understanding them better, having been there. I’m so glad I took the plane trip to Mt. McKinley. Wow! I can’t really say what was the highlight of our trip because every day was the best. The train trip, Resurrection Bay, and the boat… wow! I’m so glad we didn’t do a cruise. We saw your wonderful state the best way! Thank you.